Although I have been sharing a lot of breakfast recipes here, these actually make my brunch most days as I am not an early morning person generally. I start my day early only when required else I have my brunch and set out for the day's routine work. I think most of the people working from home find brunches convenient as there is no rush to leave for office. So many of my breakfast recipes are more suitable for a relaxed breakfast for someone who works from home. 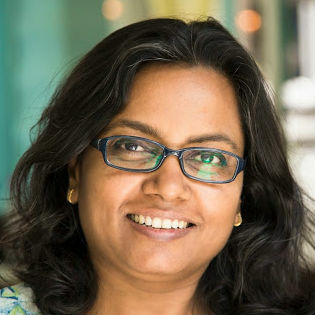 Those who have to run to the office rely on cereal or banana and milk or eggs and milk etc., Arvind loves his sweet breakfasts and I find it convenient to give him ragi malt, bananas, granola mix or some such convenient instant kind of breakfast while I cook his lunch box. Sometimes I do him a favour and make banana pancakes or jaggery and fennel pancakes for him but I never have liked a sweet breakfast so I cook my brunch in leisure after finishing some more chores. But this buckwheat savoury pancake was made last weekend, the official brunch kind of days for both of us. This recipe takes just 20 minutes to cook for two servings if you have chopped cabbage in the fridge else add 5 more minutes to the chore. The sesame dip also gets ready while the pancake cooks on the stove. Note that I cook 4 small pancakes at once on a bigger cast iron pan (dosa tawa). Buckwheat powders really quickly in the mixie blender. You can powder within a minute so do it fresh when required, else the buckwheat flour may turn rancid. If you buy buckwheat flour (kuttu ka atta) you can use it directly. Mix the cabbage in the flour and add salt, pepper and yogurt. Mix well and add a bit of water if required to make a pliable mixture. Grease the pan, heat and spread small pancakes over the pan. Let it cook on low flame for 10 minutes, flip and cook on the other side too. 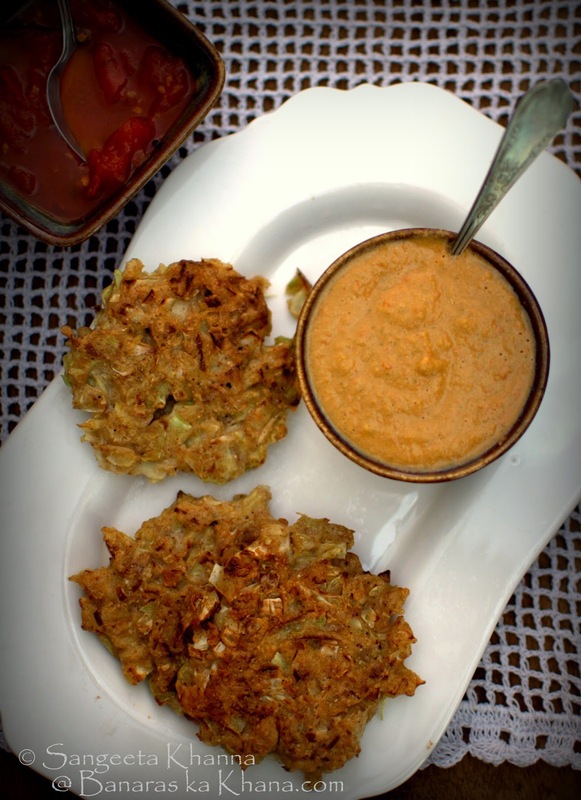 It gets crisp on the surface but the cabbage retains the bite. While the pancakes are getting cooked, chop the tomatoes and chilly and blend all the dip ingredients together in the mixie blender. Powder the sesame first and then add the wet ingredients so the dip is smooth. 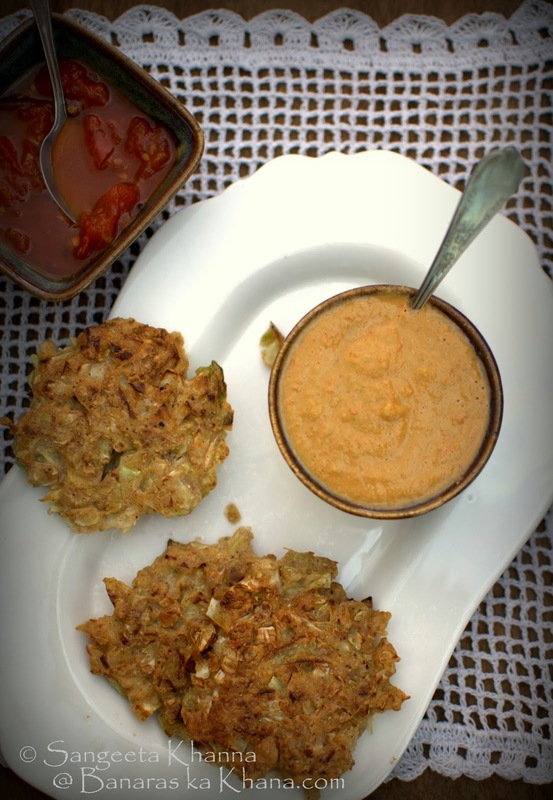 Serve with hot buckwheat pancakes. We had leftover tomato chutney as well with this breakfast but you don;t need anything sweet with it in my opinion. Else you could have this mango chutney too. The buckwheat pancake has the nutty taste of buckwheat which is so characteristic of this seed (not a grain). I have not used much seasoning or herbs in the pancake so the taste of buckwheat shines through and a generous amount of dip or chutney can be had with it. 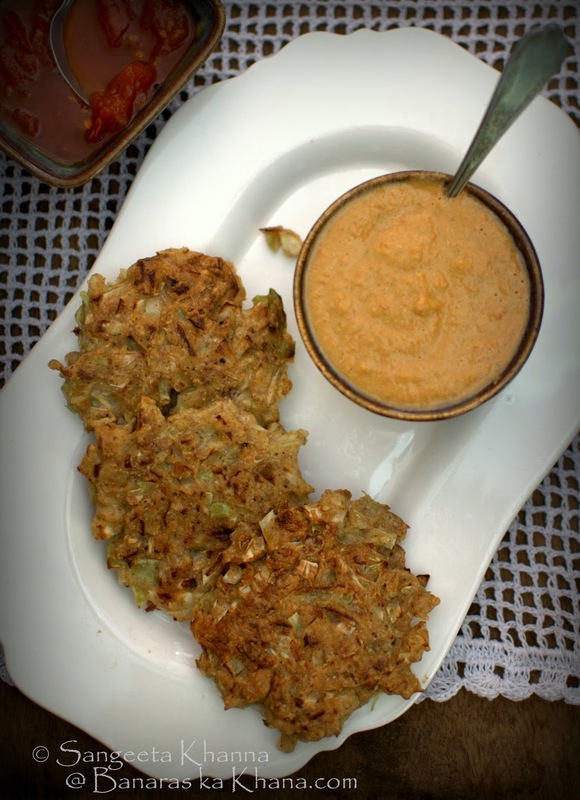 You can always add more vegetables or some herbs to this pancake and have it without any dip if you wish. Look at the buckwheat groats closely if you are wondering what kind of a grain it is. It makes wonderful pancakes and fritters that get crisp on deep frying or shallow frying, whatever the way you like to cook them. The nutty flavour is very different form any other grain or seed and I have seen some people like buckwheat raw as well. 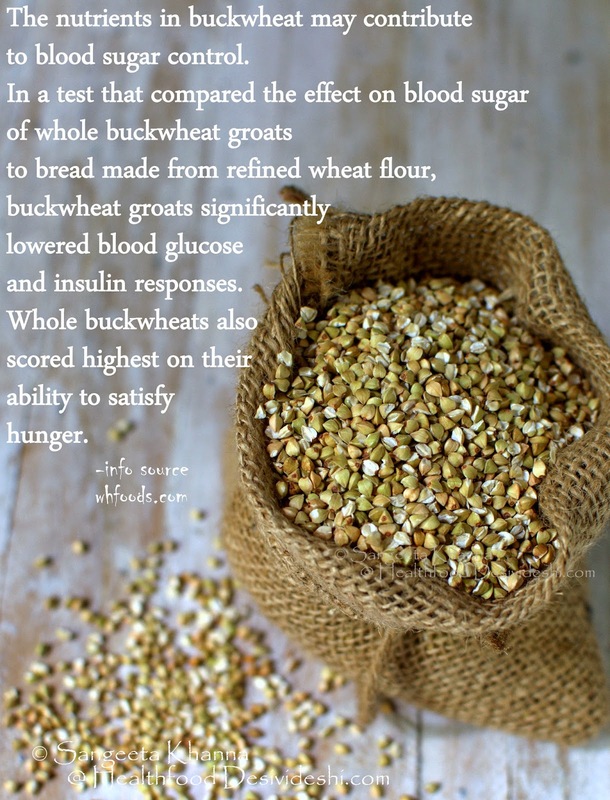 I have never tried raw buckwheat myself. Shallow frying on low flame is the best way to bring the nuttiness I feel. This amaranth greens and buckwheat pancake is a a much repeated recipe during summer months. 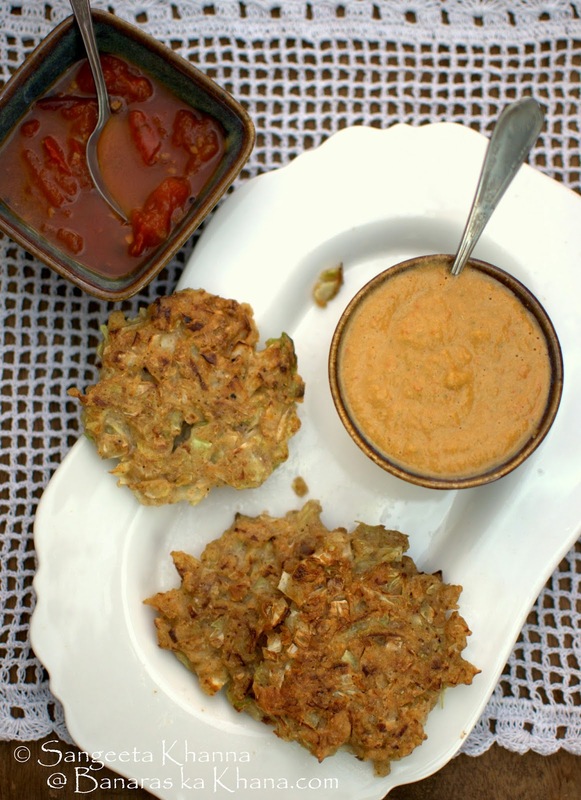 Cabbage is just a seasonal variation but the taste is very different in each case. You would love this buckwheat base pizza too I am sure. Buckwheat pizza is great when you have loads of fresh toppings and good quality cheeses to make a pizza. Buckwheat pizza base adds a nuttiness but stays soft. Let me know if you cook with buckwheat. I have been cooking with it a lot lately as I have found a store in my neighborhood that stocks it always and not just in Navratri season. Please tell me where do you get buckwheat in your part of the world as I get a lot of queries regarding it's availability. Your inputs would help other readers and friends as well. 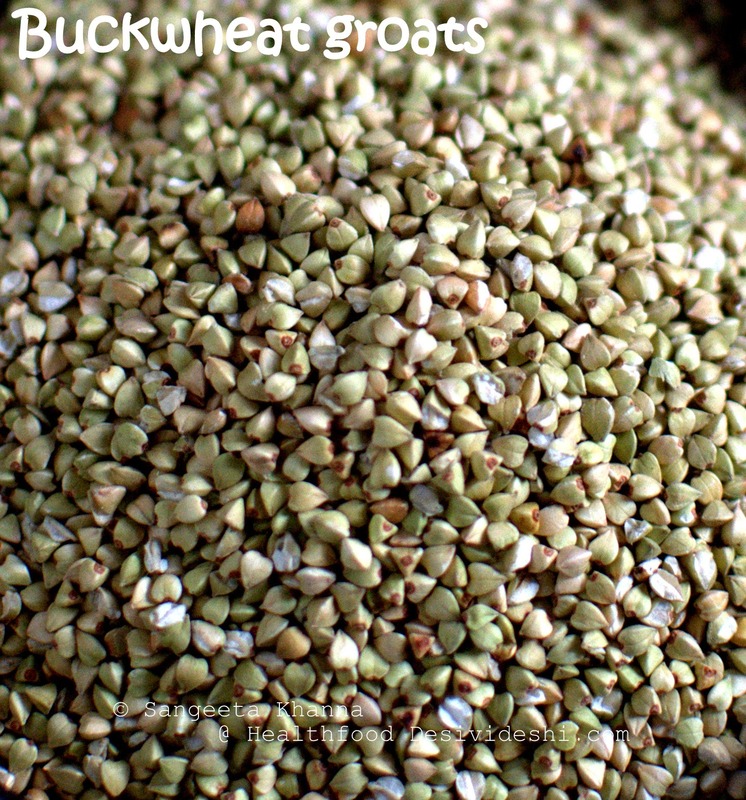 BUCKWHEAT GROATS is it easily available in india? whats it called ...usually we get kuttu ki aata....but i have never seen this in market...pls help ...what is it known as ?